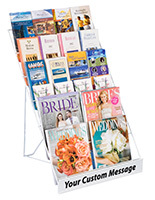 These wire literature holders provide users with four open design tiers for easily loading and loading all sorts of content. 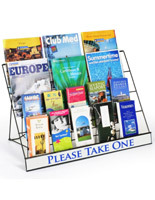 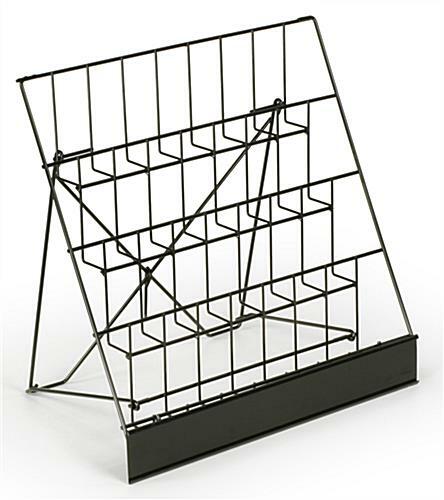 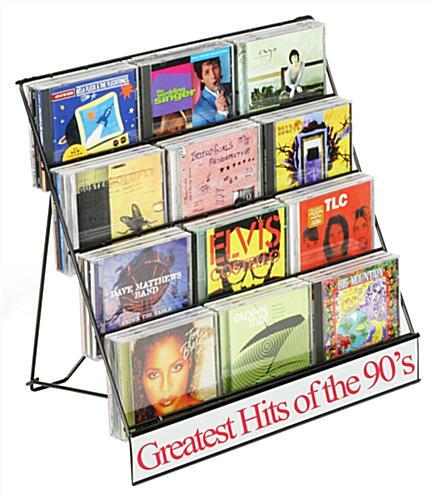 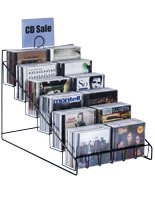 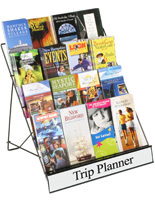 The metal magazine racks can accommodate books, DVDs, CDs as well as attractive flyers. 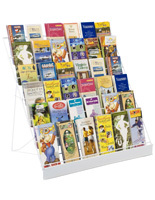 Literature holders with a black coated wire construction, also known as brochure stands, make for a wonderful addition to a countertop, floor or other flat surface. 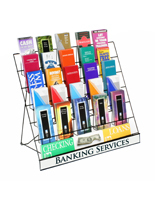 Metal literature racks come with a signage channel that will present custom messages to clientele. 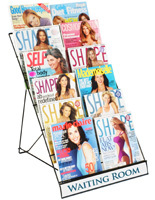 Advertisers can quickly slide in different 18"w x plates to engage shoppers. 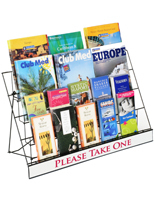 Brochure stands of this ilk are very lightweight for easy positioning and repositioning in the establishment. 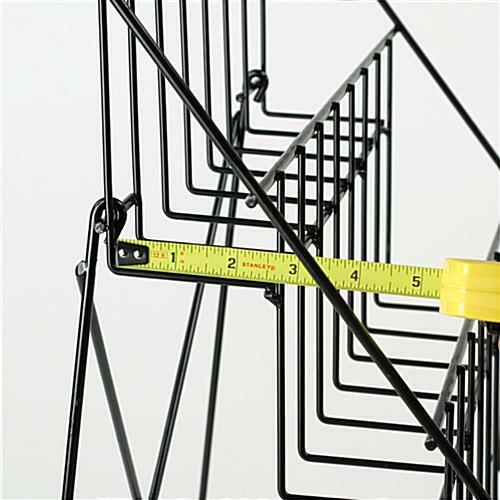 18.0" x 22.0" x 14.5"
22.0" x 5.5" x 2.5"